One of the great enhancements of the new ActiveCollab is Updates feed on My Work page. When someone posts a comment in a discussion that you track or assigns you a task - this list will be updated and elements that have new updates will bubble up to the top of the list and be displayed in bold. That's great for keeping track of all the things that are happening in your projects. Do you notice any difference? No? That's because there's no difference - nothing on that screen indicates that a completely irrelevant comment has been made. And that's a feature. At some point during development, we discussed whether we should put a badge next to the My Work menu item that indicates a number of unseen items in the Updates section. Something new happens, and the badge lights up letting you know that there's something new for you to see. "Hey, forget about what you're working on now and check this out!" The little green dot or a simple (1) wouldn't indicate that what you're about to look at is of any importance. It would also completely ignore the fact that you might be writing an important comment that will significantly increase the open rate of your newsletter (and bring great business value). 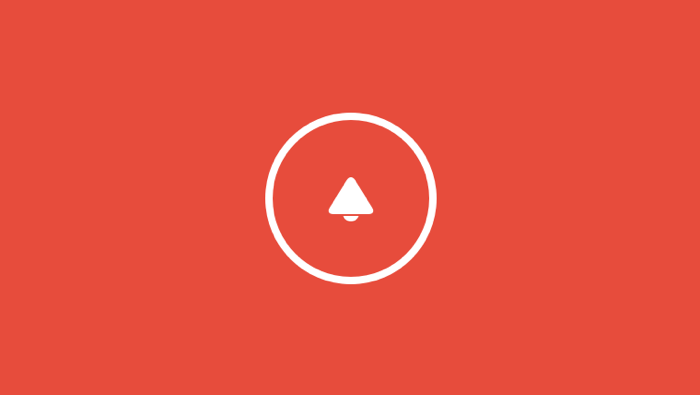 With that in mind, we decided to skip the badge for the time being and build the first iteration of the new ActiveCollab with full respect of the context that you're in. If you're reading a note, fine, we won't interrupt you. Writing a comment? Same, no interruption. Working on a task? Again, the task is the main thing on the screen. What about situations when you want to be interrupted with notifications? Keep What's New page open in a tab (it will automatically load all new notifications) or keep your email client open all the time. Many smart people work very hard to make sure that you never miss an email. So email clients usually have a badge that shows the number of unread messages, and they can also launch desktop notifications that can show little snippets and let you quickly reply. If you disagree, please let us know. 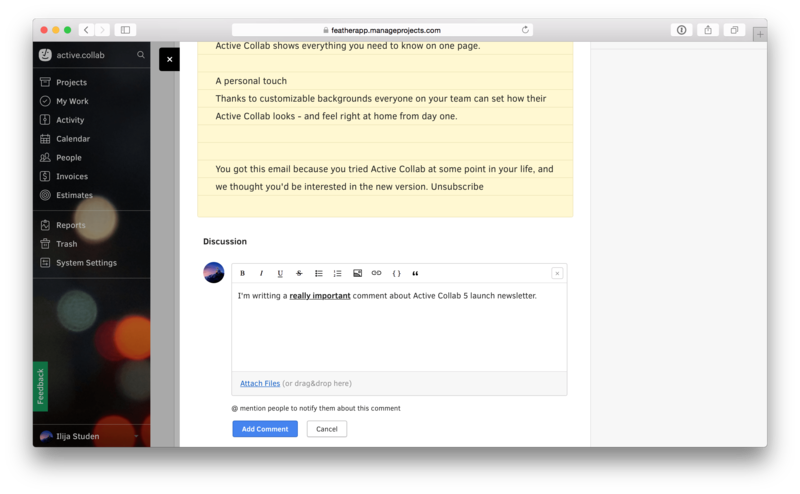 We want to hear your perspective because we want to make sure that ActiveCollab is the most comfortable project management tool on the market.